The Big Idea: Covering up is key to protecting yourself from mosquitoes! Have kids color the picture. Then point and name the items of clothing. In what order would Grover put them on? 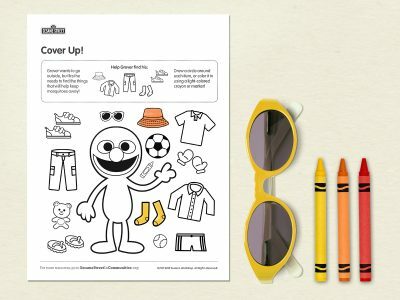 Help Grover protect himself from mosquitoes when playing outside!